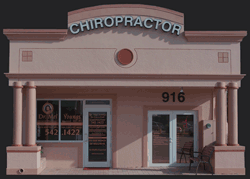 Meet our Wonderful Chiropractors at Dr. Mel Youngs Office in Cape Coral! 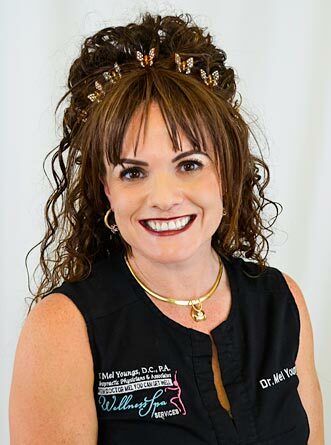 Dr. Melina “Mel” Youngs…is a longtime resident of Cape Coral. In fact, there is a unique story behind her 916 Cape Coral Parkway clinic. It was the same location her parents owned and operated the famous YUMS ice cream store for many years. Her practice has been built by getting people well, one person at a time. Good news travels fast and patients who received relief from their pain have referred their friends and family to Dr. Mel. Her patients have become her extended family and they enjoy the extra care and concern that she provides, much like the doctor–patient relationship in the old days. Dr. Mel offers…lifestyle modification coaching to her patients that can change the way they feel through nutrition counseling, exercise instruction as well as ergonomic advice. As a nationally certified group fitness instructor and former aerobics and kickboxing instructor, she has made a full time commitment to teaching others how to achieve healthy lifestyles. Her approach to health care reflects the newest research in health preservation and longevity. She teaches her patients the art of maintaining their health rather than just treating disease. Dr. Hutchinson was born in North Carolina but because her father was a Marine, grew up in the mountains of Wild Wonderful West Virginia. She obtained her Bachelors degree in Biology from Marshall University in Huntington, WV and Doctorate from Sherman College of Chiropractic in Spartanburg, SC. She has owned her own wellness clinic for the past 18 years but recently decided she was tired of the long winters and snow. She would spend her summers as a child with her grandmother that lived in Orlando and has always enjoyed the Florida sun. She is passionate about promoting the health of the entire family and prides herself in building lasting relationships with her patients and the community. Dr. Hutchinson has a fun family life with an overly competitive husband and a spunky daughter along with a psychotic Siamese cat and a dog that is scared of his own shadow. When she isn’t at the office working you will most likely find her spending time with her family, volunteering at her daughter’s school, gardening or at the gym! Dr. Haakenson is a graduate of Palmer Chiropractic College and comes to us with 12 years of experience! Additionally, he is certified in acupuncture from Midwest College of Oriental Medicine. 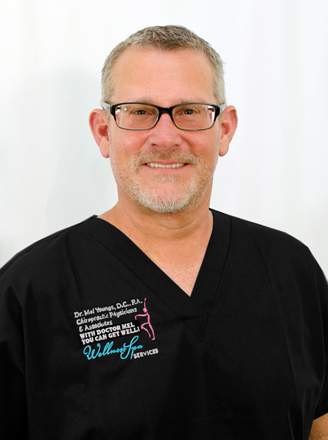 Dr. Haakenson is originally from Wisconsin, and is so happy to be in the sunny Florida! He is a fabulous adjuster and is passionate about improving the health of the entire family. Dr. Haakenson is also a certified Strength and Conditioning Specialist! He is skilled in training athletes to optimize their performance. Dr. Haakenson is excited to bring his wealth of knowledge and expertise to our practice! Dr. Doug Sterban was born in Harrisburg, Pennsylvania and spent the majority of his life in Nashville, Tennessee. After discovering his love for serving others, Dr. Sterban pursued a career in Chiropractic. He received his Bachelor’s Degree in Biology and Doctorate of Chiropractic from Life University in Atlanta, Georgia. Dr. Sterban ran a successful chiropractic practice for many years in Nashville before his love of the ocean and the outdoors led him to Florida. Dr. Sterban joined Dr. Mel’s Team in 2015, and grew a wonderful bond with patients for two years. 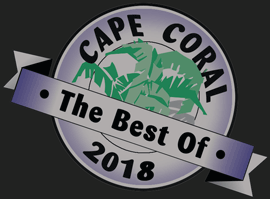 In 2017, Dr. Sterban moved back to Nashville, but quickly realized that Cape Coral and Dr. Mel’s Chiropractic Office and Wellness Spa had become “home”! Dr. Sterban has returned to the Cape and he is delighted to join to the Dr. Mel Family once again. Dr. Sterban is an extremely skilled adjuster. Not only is he proficient in spinal health, he also specializes in sports injuries with a keen interest in extremity care. Some of the techniques he utilizes include: Diversified, Gonstead, Thompson, Cox-Flexion/Distraction, as well as physiotherapy and spinal rehabilitation. Dr. Sterban is dedicated to educating his patients about stress management, injury prevention, nutrition, and how to maintain peak performance in all facets of life. Dr. Sterban believes in achieving optimal health through proper nutrition, exercise, and regular chiropractic care. He has a genuine concern for all his patients and cares for patients of all ages including infants. Dr. Sterban’s mission is to empower as many people as possible and welcomes anyone that is interested in a life changing experience!